Ideal for those who want an outdoor life without forsaking modern comforts. 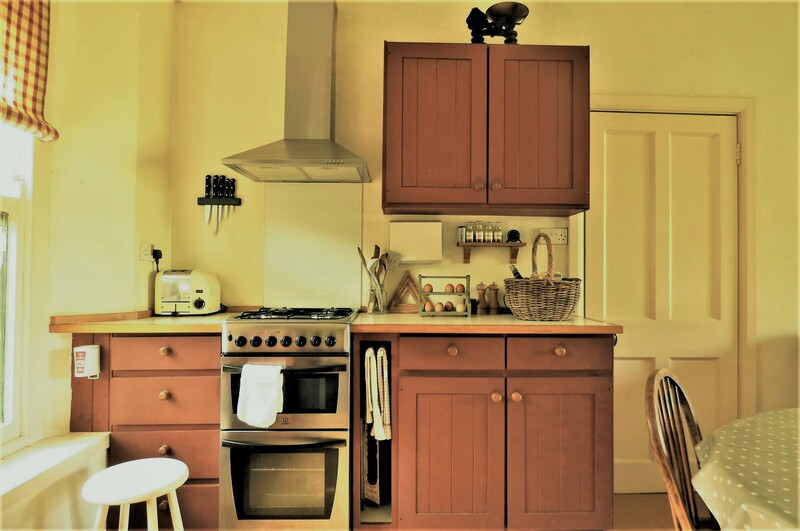 Living, eating etc – the kitchen area is well equipped with a dual fuel cooker (calor hob, electric oven and grill), microwave, fridge, freezer and dishwasher. 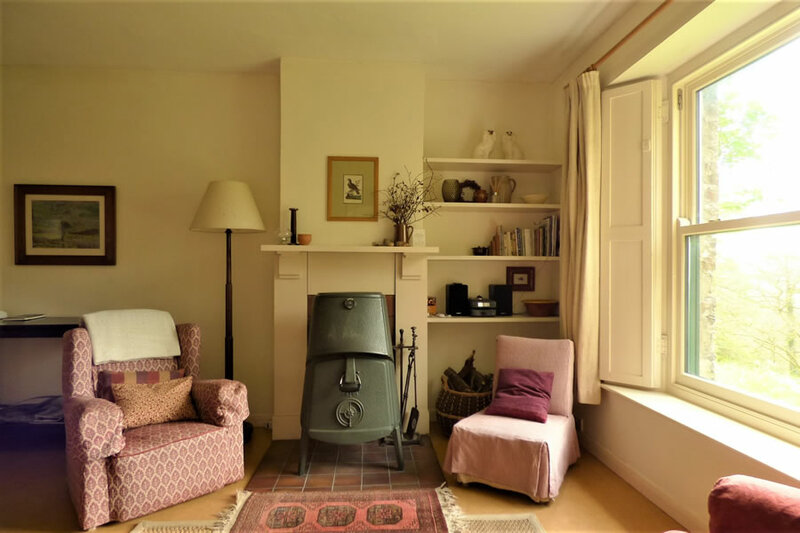 The main living space is an open plan kitchen/dining room with sitting area around the wood burning stove with mini hi-fi. Also there is a separate sitting room with TV/DVD and a writing desk. 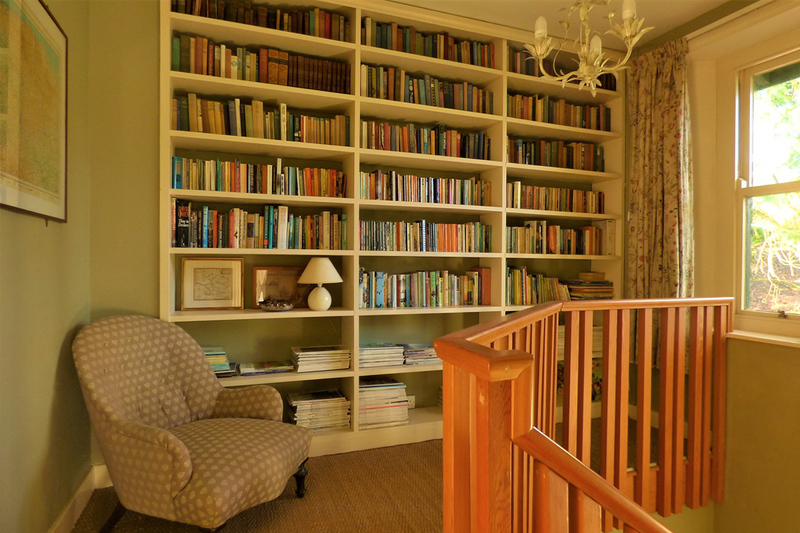 On the landing is a library area with a wide selection of holiday reading, magazines and children’s books. There is a land line telephone with call-back for honesty donations. We now have Wifi, but still only at 2 meg max download speed yet. Mobile reception is very patchy around the house all depending on the provider, but further from the house there is good connection, and of course there’s the Wifi now inside. 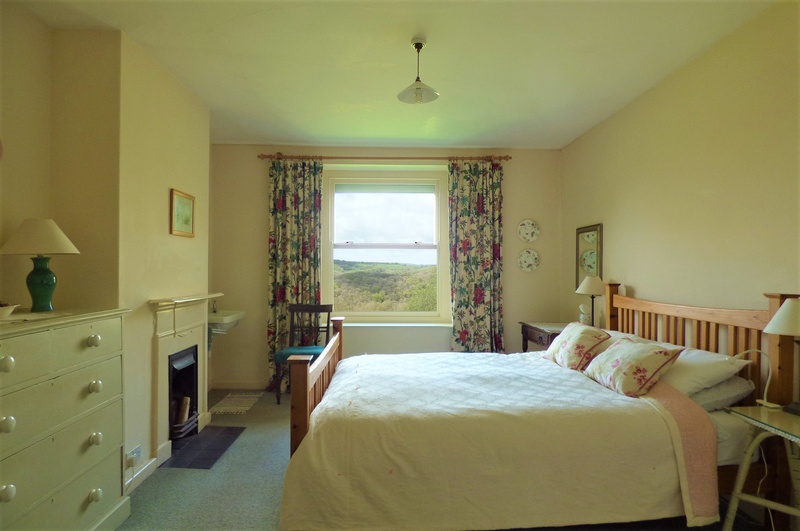 Sleeping, bathing etc – the cottage sleeps four plus a cot sized child. There is one double room with a king-size bed (and lots of room for the cot that we can provide if required). The second bedroom has two full size single beds. There is a large bathroom which has a bath with shower facilities, wash basin and WC. 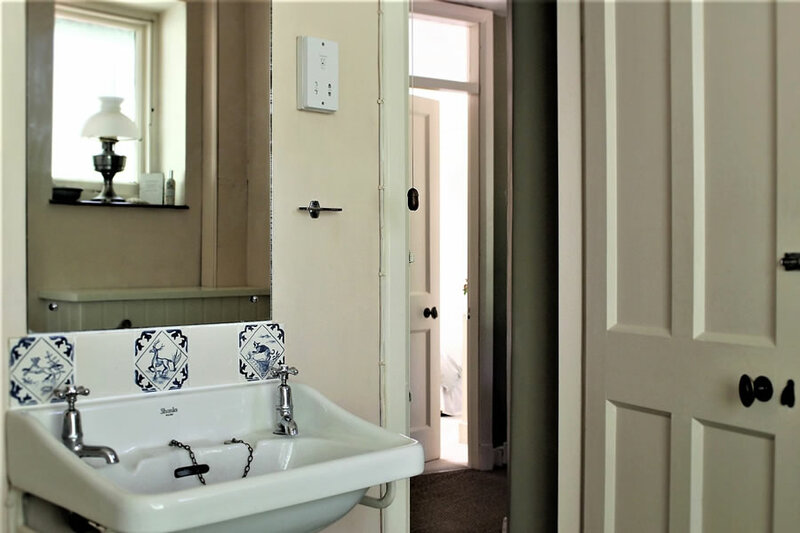 There is an additional basin in the main bedroom and also a downstairs WC and basin. There is a washer/dryer downstairs, a washing line outside and a drying line in the bathroom. All linen and towels are provided. We are on our own spring water supply that feeds our reservoir tanks, so considerate use during drought times is appreciated. 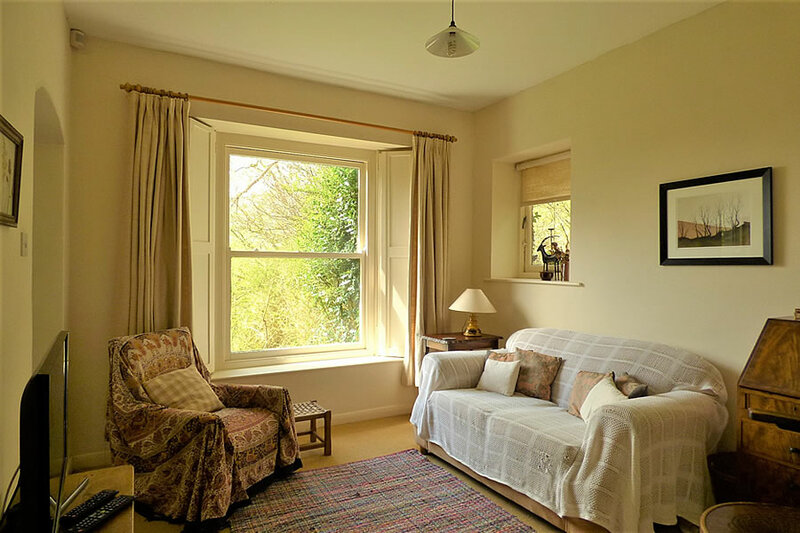 Heating – the cottage and its water are heated by electricity, with solar hot water a new addition (all in the price). Also there is a very efficient and snug wood burning stove downstairs, all logs included. Outside – there is ample parking for two cars and lots of bicycles. The path to the house is lit automatically at night. There is a private garden with deck area complete with picnic table and the woods etc. are directly accessible from the house. Access – the lane down to the house is rough and can get overgrown so not suitable for showroom Lamborghinis! For those with mobility worries please contact us first. Dogs – we are happy to accept well behaved dogs, strictly downstairs and not on the furniture.